Amara LaNegra of Love & Hip Hop: Miami says that you women out there aren’t doing enough for your men. Stevie J. of Love & Hip Hop Atlanta appears absolutely captivated by Amara Le Negra of Love & Hip Hop Miami in the photo above. Amara was in Atlanta last night in support of the reality star’s launch party for his new nightlife venture ‘Sleazy J’s’. The event, which was being filmed for the upcoming season of Love & Hip Hop Atlanta, was held at Atlanta hotspot Revel and over 400 guests braved the frigid temperatures to experience Stevie J’s upscale pop-up party. Attendees included LHHATL cast Yung Joc, Lil Scrappy, Bambi, Mama Dee, Tommie Lee, Lovely Meme, Amara La Negra (LHHMIA), “Growing Up Hip Hop: Atlanta” stars Reginae Carter and Zonnique Pullins; Comedians K Dubb and Shawty and many more. 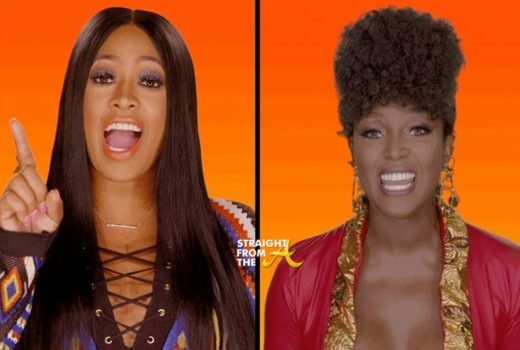 Love & Hip Hop Miami aired the 2nd video of it’s premiere season last night (January 9, 2018).